Working in a two-dimensional environment while interacting with three-dimensional interfaces can result in incomplete wiring diagrams, wasted time and energy, non-compact systems and so much more. 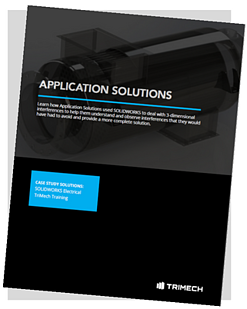 One of our clients, Application Solutions, realized they were making life harder for themselves and went looking for a solution and for a partner that could provide both a technical solution, and train them how to utilize it effectively. Fill out the form to download results instantly.